En discussion depuis le 22 mai, les députés de l’Assemblée Nationale ont finalement voté le projet de loi concernant l’agriculture et l’alimentation le mercredi 30 mai. Ce projet de loi visait à rééquilibrer les relations entre la grande distribution et les agriculteurs, améliorer les modes de production, et favoriser l’accès à une alimentation plus saine. Différentes mesures ont été prises. Tout d’abord, concernant les relations entre les grandes surfaces et le monde agricole, les prix seront désormais fixés sur les coûts de production. Les promotions seront, quant à elles, plus encadrées. L’étiquetage de certains aliments sera également renforcé, c’est-à-dire que ces aliments porteront des mentions telles que l’origine géographique, le mode de production ou encore l’utilisation de traitements. En ce qui concerne l’environnement et l’alimentation, les cantines devraient passer à 50% de produits issus de l’agriculture biologique dès 2022. De plus, les députés ont fait passer un amendement interdisant l’installation de tout nouvel établissement d’élevage de poules pondeuses en cage. Cependant le texte a provoqué de nombreux débats au sein de la population mais aussi de l’Assemblée Nationale. Pour cause, plusieurs promesses du président n’ont pas été tenues, de plus certaines propositions emblématiques n’ont finalement pas été adoptées. Notamment l’abandon de l’interdiction du glyphosate dans les 3 ans. L’obligation de la vidéosurveillance dans les abattoirs a aussi été rejetée, elle est néanmoins possible à titre expérimental et sur la base du volontariat. Par ailleurs, l’interdiction des pratiques brutales dans la production animale, comme le broyage de poussins mâles ou les castrations à vif, a également été rejetée. L’interdiction de traiter à proximité des habitations a été écartée. Concernant l’agro-alimentaire, l’encadrement publicitaire sur les produits trop gras, trop sucrés et trop salés à destination des enfants de moins de 16 ans, a finalement été abandonné. 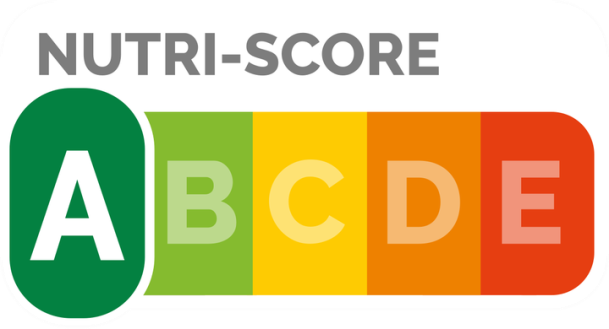 Tout comme l’obligation d’afficher l’étiquetage nutritionnel Nutri-score. Maintenant, le projet de loi va devoir passer l’épreuve du Sénat afin d’être validé. I definitely wanted to type a comment to be able to express gratitude to you for these fantastic tricks you are writing here. My time intensive internet lookup has at the end been rewarded with sensible knowledge to talk about with my pals. I would admit that we readers are unequivocally lucky to be in a very good community with many perfect professionals with valuable advice. I feel somewhat fortunate to have seen your web site and look forward to plenty of more entertaining moments reading here. Thank you once again for everything. I would like to express some appreciation to this writer just for rescuing me from this particular situation. Just after researching throughout the search engines and meeting ways which were not helpful, I believed my entire life was well over. Living without the presence of solutions to the difficulties you’ve solved by way of your good report is a crucial case, as well as ones which may have negatively damaged my entire career if I hadn’t come across your site. Your personal expertise and kindness in controlling all the things was excellent. I don’t know what I would have done if I had not encountered such a point like this. I can also at this moment relish my future. Thanks a lot so much for the reliable and effective help. I will not hesitate to recommend your web blog to anybody who requires guide about this area. My husband and i felt so thankful when John could complete his preliminary research while using the precious recommendations he obtained using your web pages. It is now and again perplexing to just be releasing guides which usually the others might have been trying to sell. And we all understand we now have you to thank for this. The entire explanations you made, the easy website navigation, the relationships your site make it possible to foster – it’s got mostly powerful, and it’s really making our son in addition to the family recognize that the idea is amusing, and that is rather vital. Thanks for all the pieces! oJLUKi I was suggested this web site by my cousin. I am not sure whether this post is written by him as no one else know such detailed about my difficulty. You are wonderful! Thanks! I really wanted to construct a comment to express gratitude to you for all the superb instructions you are showing at this site. My time-consuming internet lookup has at the end of the day been recognized with really good facts to write about with my contacts. I ‘d repeat that we website visitors actually are really blessed to live in a superb place with very many brilliant professionals with interesting things. I feel really happy to have discovered your entire web page and look forward to tons of more entertaining minutes reading here. Thanks again for everything. Thanks for each of your labor on this web page. My mom take interest in working on investigation and it’s really obvious why. Most people notice all relating to the compelling ways you create very important tactics via the website and therefore recommend response from other ones on this subject matter while our simple princess is actually learning a whole lot. Take pleasure in the remaining portion of the year. You are always performing a useful job. Thank you for all of the efforts on this blog. Kate really loves working on investigation and it’s really easy to understand why. My spouse and i know all concerning the powerful ways you create great tips and hints via this website and inspire participation from people on this matter so our own girl is really discovering so much. Enjoy the rest of the new year. You have been conducting a splendid job. I and my pals came checking out the great secrets and techniques from your web blog while instantly I had a terrible suspicion I never thanked the web blog owner for those techniques. Those women became consequently stimulated to see all of them and have now extremely been taking advantage of them. Many thanks for truly being simply kind and then for deciding on some amazing areas most people are really needing to know about. Our sincere apologies for not saying thanks to you sooner. I and also my guys happened to be taking note of the best information and facts from your web page and then all of a sudden came up with a horrible feeling I had not thanked the web site owner for those tips. The young boys appeared to be so passionate to read through them and have in effect in reality been taking advantage of those things. Thanks for being so helpful and also for choosing variety of outstanding subjects millions of individuals are really desirous to discover. My sincere regret for not expressing appreciation to earlier. I definitely wanted to send a quick comment to appreciate you for some of the fantastic suggestions you are giving out on this site. My long internet lookup has now been paid with beneficial points to go over with my neighbours. I ‘d claim that many of us website visitors are unequivocally lucky to be in a really good website with so many marvellous people with useful opinions. I feel somewhat privileged to have encountered the web pages and look forward to really more entertaining minutes reading here. Thanks again for all the details. I enjoy you because of your own efforts on this site. Gloria takes pleasure in going through research and it’s easy to see why. My partner and i know all of the powerful mode you create vital tactics through this website and even improve response from the others about this area of interest while our own child is actually understanding a great deal. Take advantage of the remaining portion of the new year. You’re conducting a really great job. I’m writing to let you know of the terrific discovery our princess obtained visiting the blog. She came to understand so many issues, not to mention what it’s like to possess an excellent helping spirit to make many more easily thoroughly grasp chosen impossible things. You truly did more than our own expected results. Thanks for distributing the helpful, dependable, edifying as well as unique tips on the topic to Emily. I wish to show my appreciation to you for bailing me out of such a instance. After looking out throughout the world wide web and meeting methods that were not beneficial, I was thinking my entire life was done. Being alive devoid of the answers to the difficulties you’ve fixed as a result of your main article is a serious case, as well as those which may have in a wrong way damaged my career if I had not discovered your site. Your primary natural talent and kindness in playing with a lot of things was important. I’m not sure what I would have done if I hadn’t encountered such a solution like this. I can now look forward to my future. Thanks for your time very much for your reliable and results-oriented guide. I won’t think twice to refer the sites to anybody who would need direction about this matter. I am just writing to make you understand what a perfect encounter my cousin’s daughter gained reading your blog. She came to find too many issues, most notably what it is like to have a very effective helping spirit to get the rest quite simply have an understanding of some multifaceted topics. You actually surpassed our desires. Thanks for offering the beneficial, healthy, explanatory and even cool tips on this topic to Kate. Thanks for your entire hard work on this site. My mother takes pleasure in managing internet research and it’s really easy to see why. Almost all notice all regarding the lively mode you present useful information through your web blog and even recommend response from other ones on this article plus our favorite girl is without question starting to learn a lot. Have fun with the rest of the new year. You have been doing a fabulous job. https://whatisketodiettuj.com/ how to determine ratios on a keto diet? I just want to say I am just very new to weblog and actually enjoyed this web site. Most likely I’m planning to bookmark your blog . You definitely come with incredible articles. Bless you for sharing with us your website page.